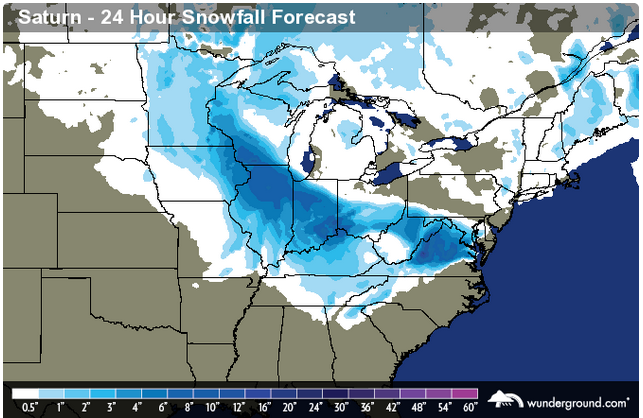 The Washington, DC area is expecting some snow over the next 24-36 hours, and while accumulations won’t be significant (less than 12 inches), it’s likely to cause some disruptions. BGE is pre-positioning assets in preparation for power outages, and local emergency management agencies are setting up shelters and posting preparedness reminders. Annapolis & Anne Arundel County aren’t likely to see more than a few inches so the impact should be minimal, but it’s best to be ready nonetheless. I’ll be posting updates on this page throughout the event. Remember to pick up some extra batteries and provisions, check flashlights, have a battery-powered radio available, and be cautious when driving in snow. 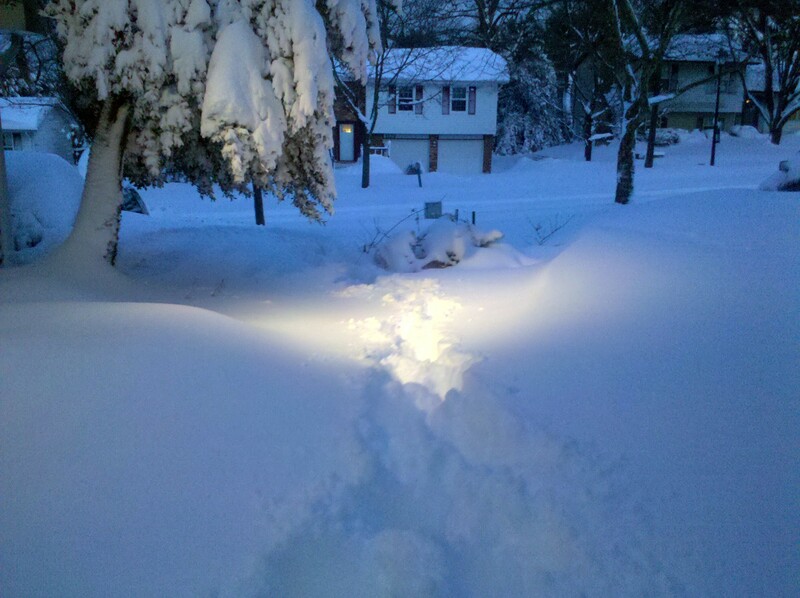 Annapolis Patch has a post detailing emergency procedures, including phone numbers for utilities and local agencies. The snow hasn’t started yet, but it’s getting close. 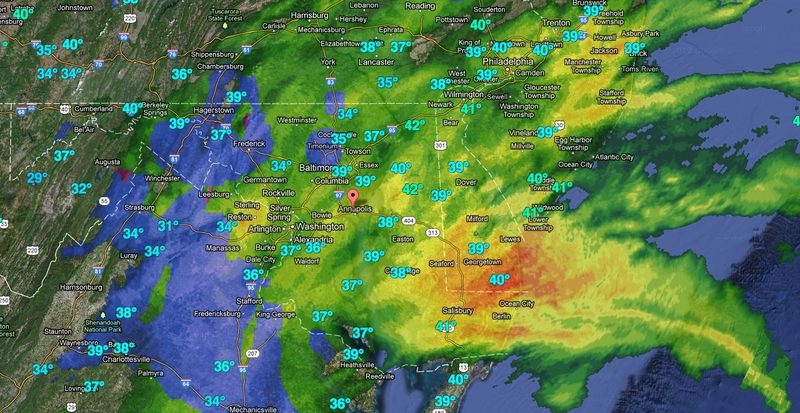 Weather Underground’s WunderMap is an excellent tool for tracking the storm. 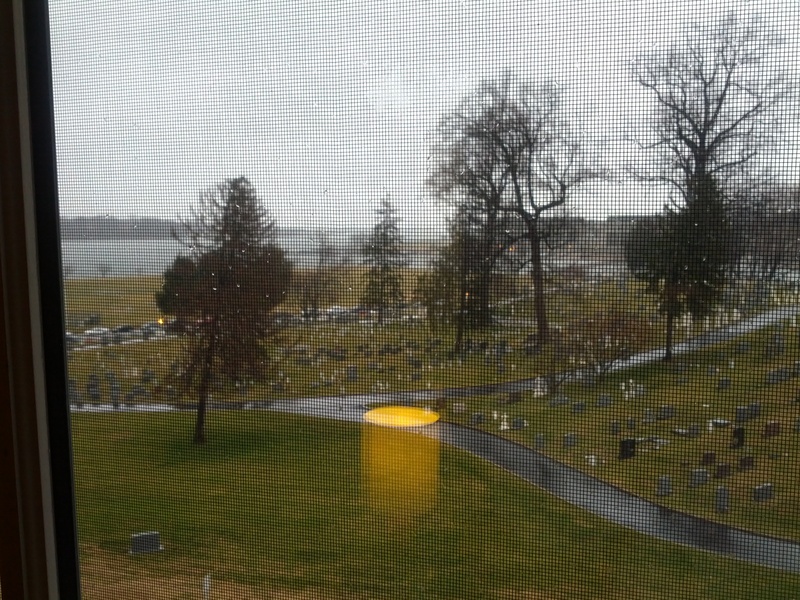 No snow so far, just a bunch of wind and rain. 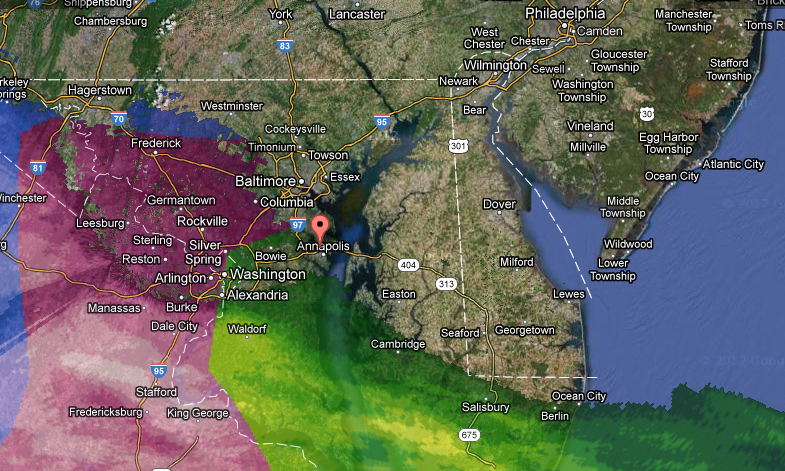 It’s 39 degrees in Annapolis, so it doesn’t seem likely any snow is coming. The strong winds are dropping the temperature a bit. 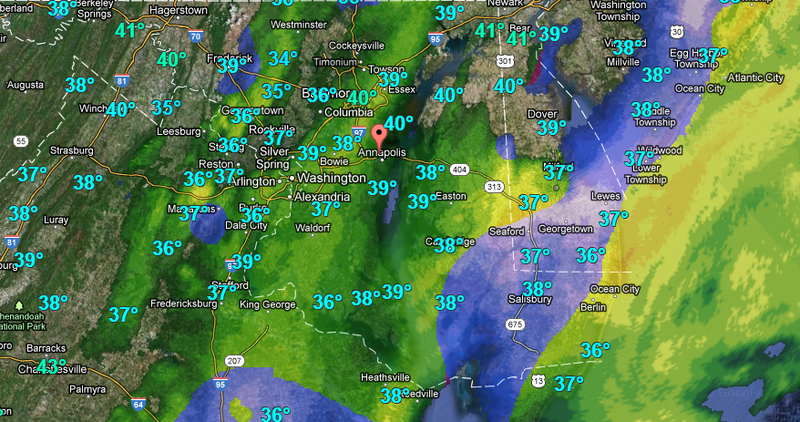 We’re starting to see a snow-rain mix coming down. Nothing is sticking to the ground. 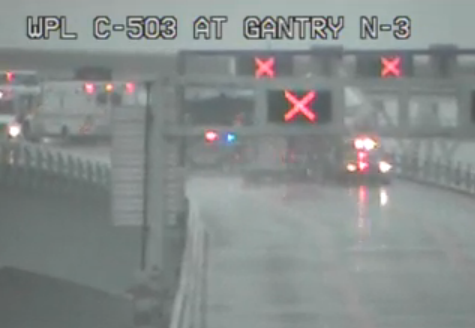 Bay Bridge is now closed in both directions due to the winds from the storm. 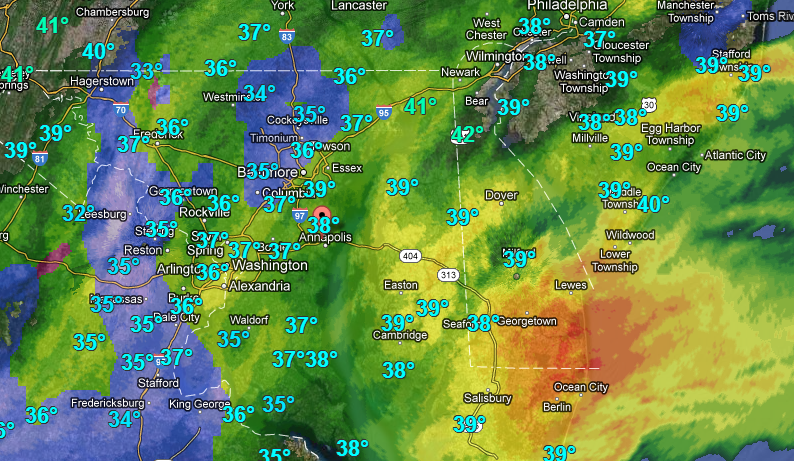 The latest radar & temperatures. A tractor trailer has overturned on the Bay Bridge, westbound span due to high winds. It looks like the worst of the storm has passed. Still no snow. 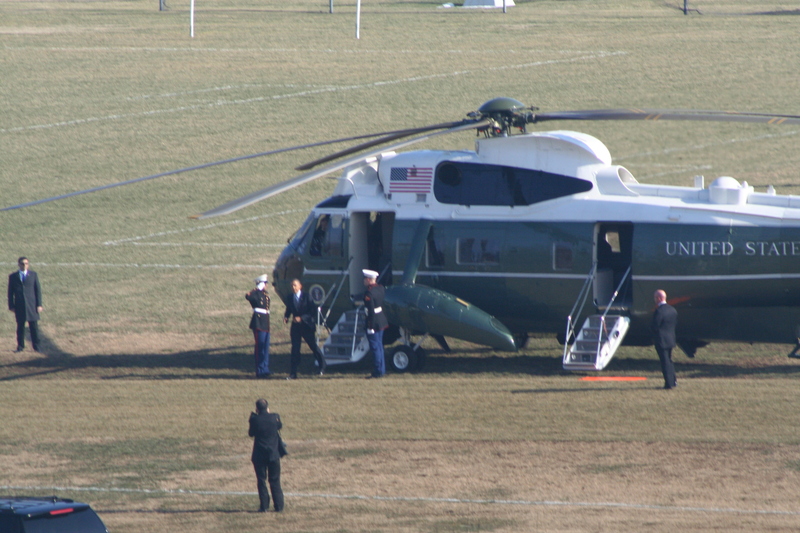 The wind has died down, and the temperature seems to be steady. 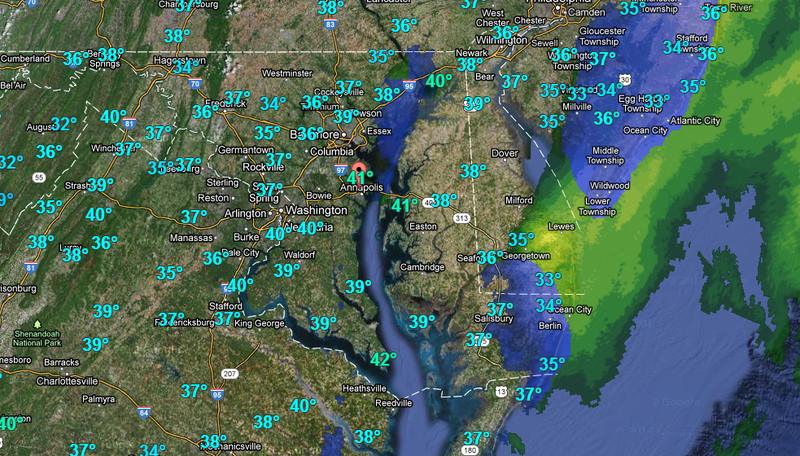 Larger pockets of snow on the radar than before, but still none near Annapolis. The wind is gone, and it appears the storm is also.